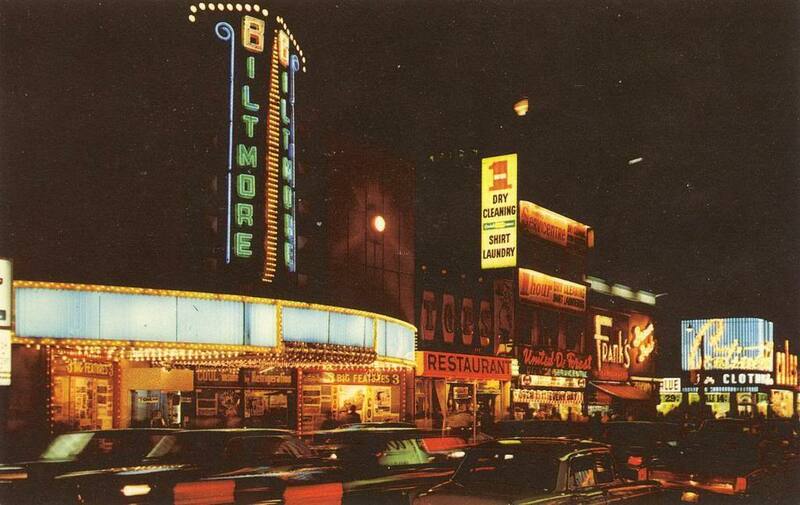 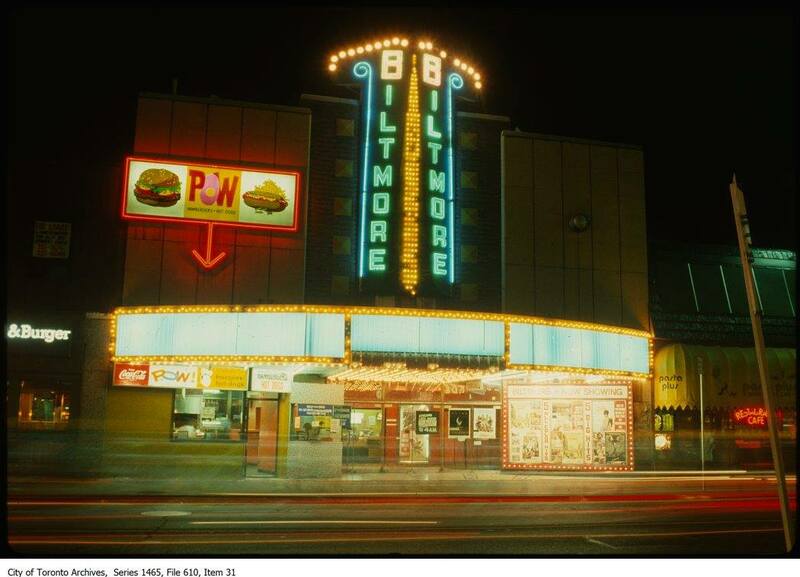 The Biltmore Theatre and POW Burgers! 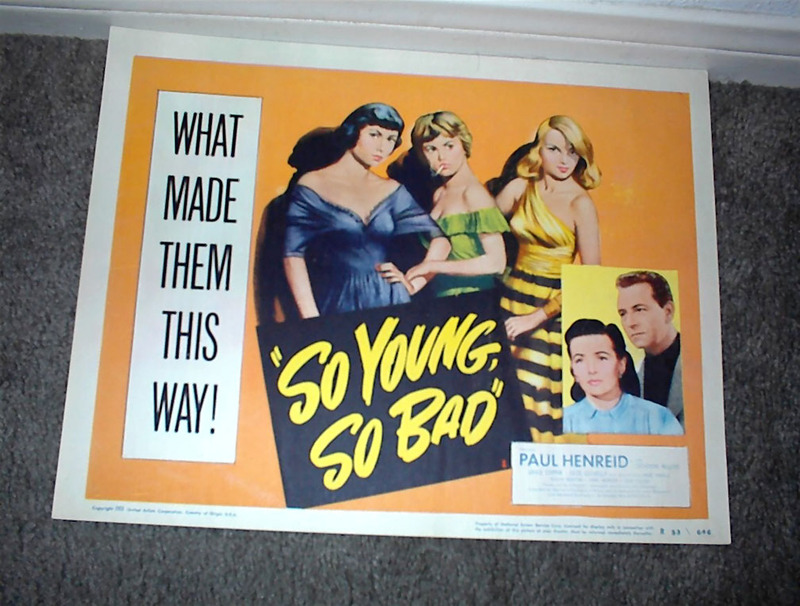 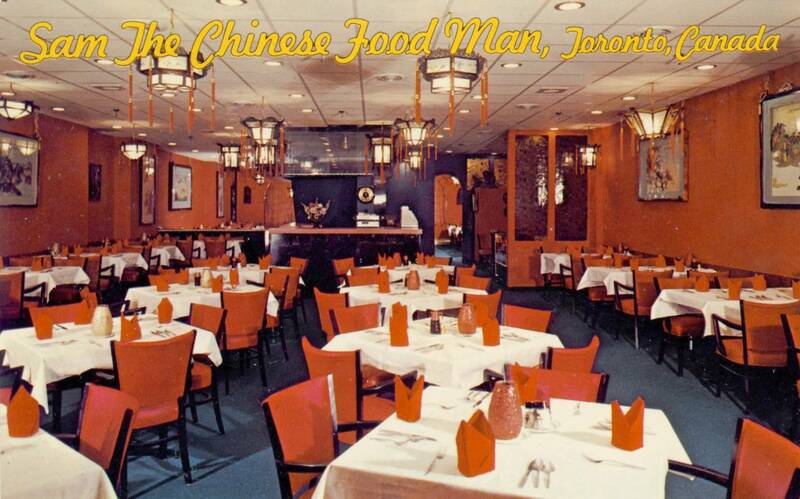 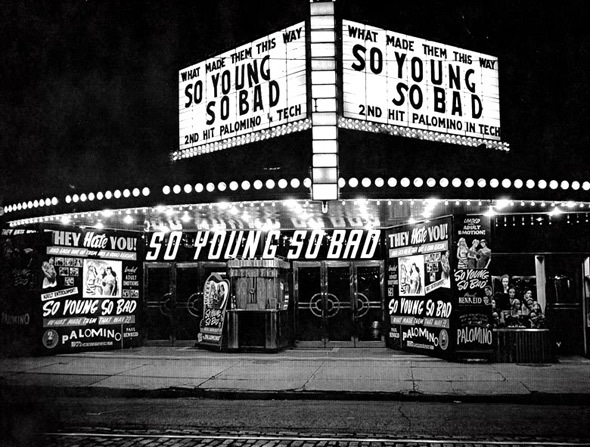 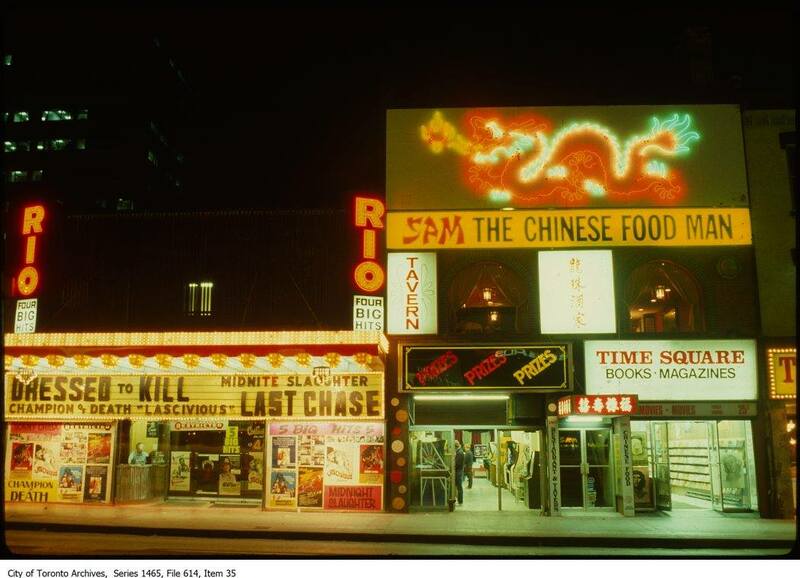 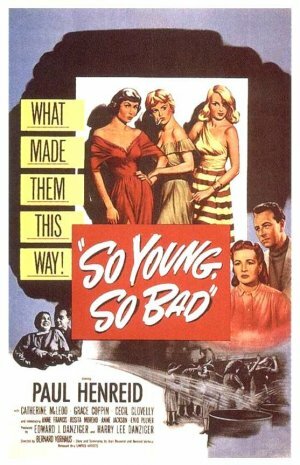 The Rio Theatre, Sam the Chinese Food Man, a Pinball arcade and a smutty bookstore! 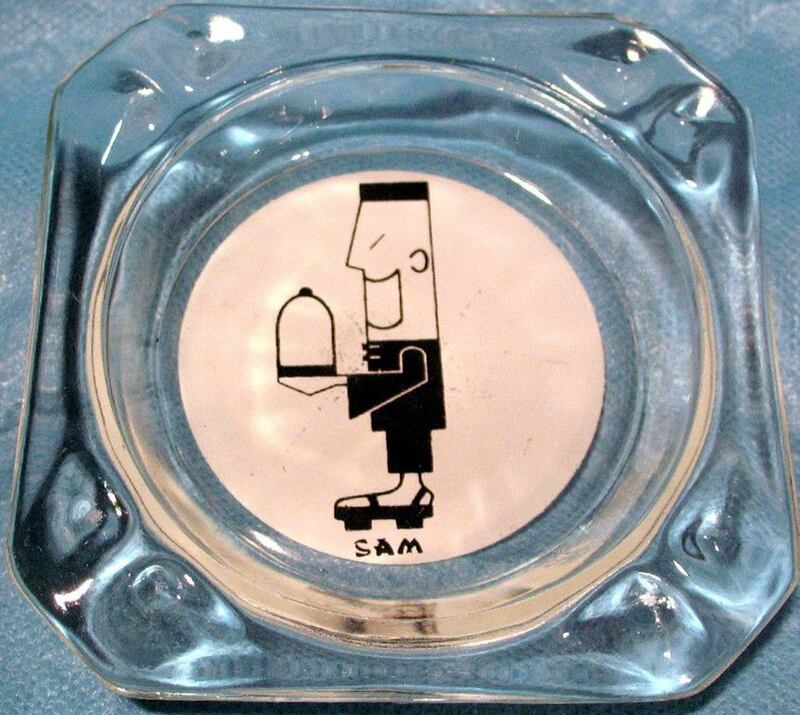 An ashtray from Sam the Chinese Food Man. 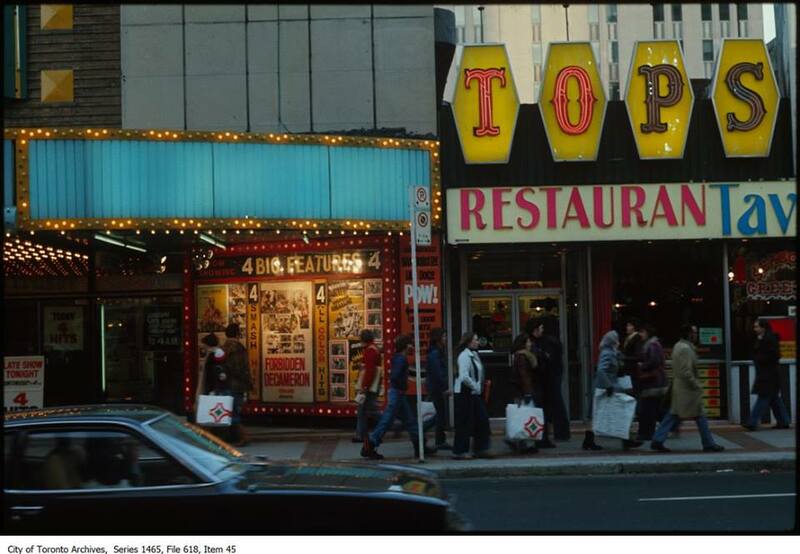 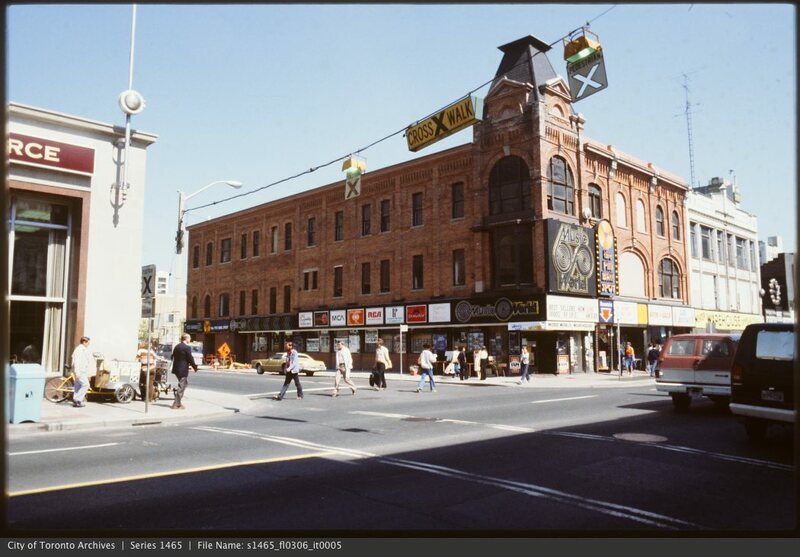 A couple of shots from the late 70’s of the old Edison Hotel. 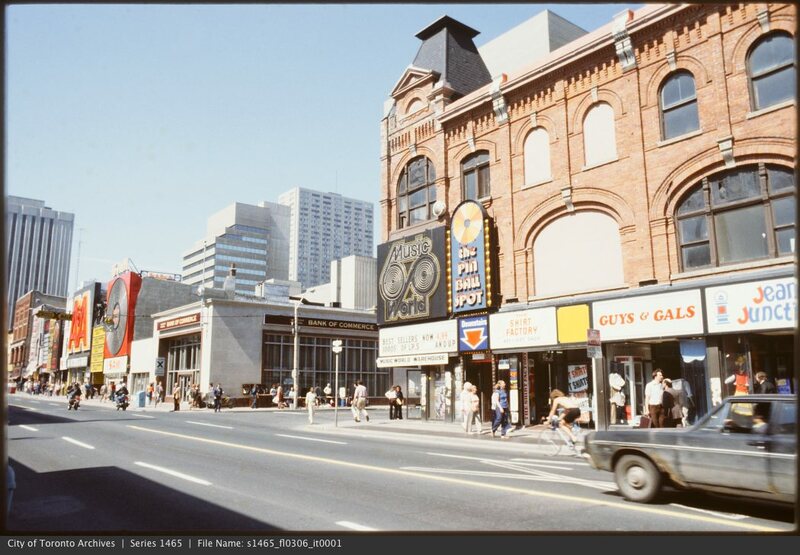 The Coronet Theatre at Yonge and Gerrard. 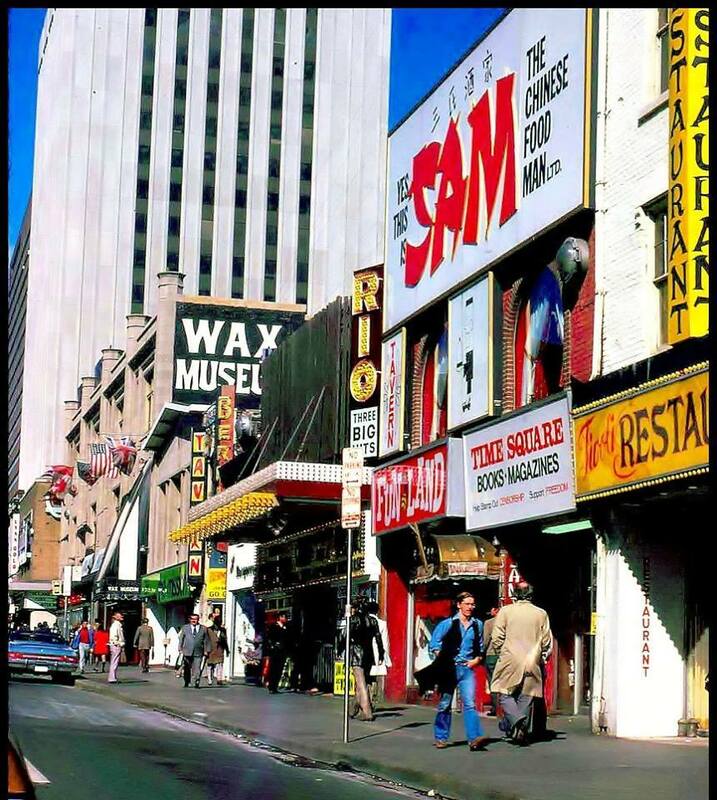 A double feature for $3.00, Every Which Way But Loose and Oh God (1977). 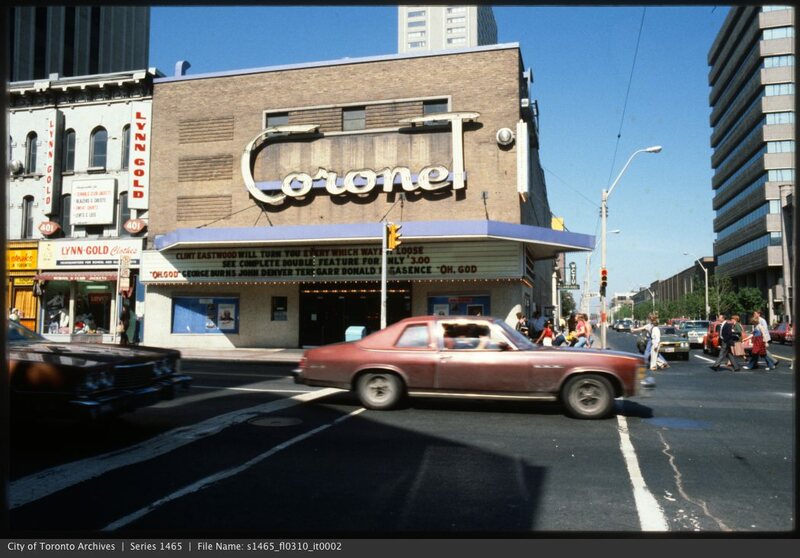 The Coronet was originally called the Savoy and opened in 1951 and closed in 1983. 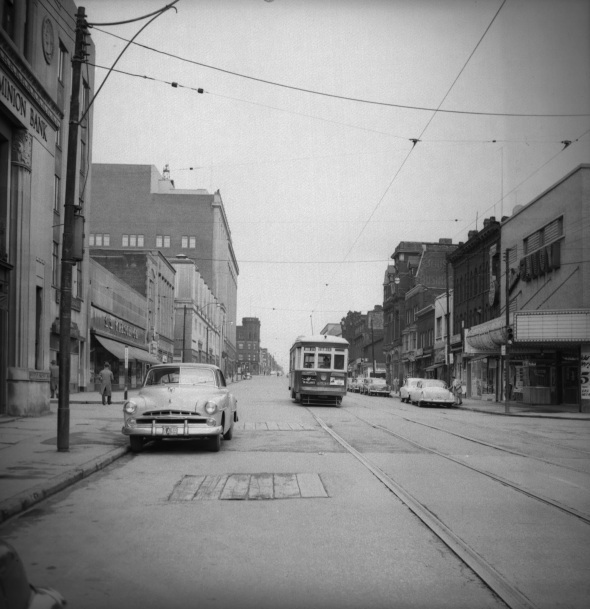 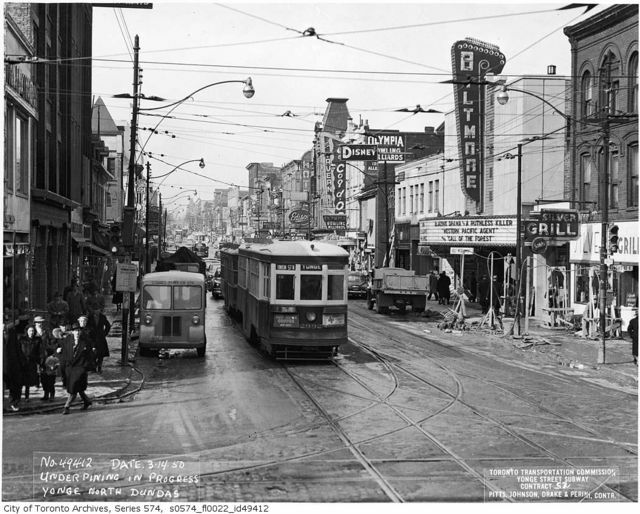 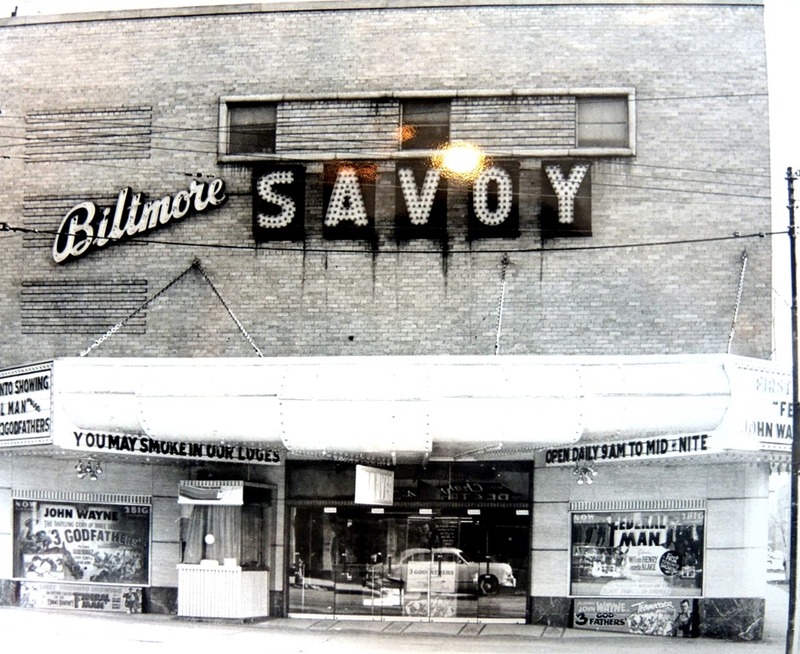 Another shot of the Savoy looking north on Yonge circa 1952.